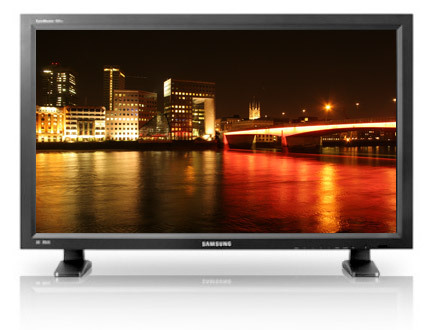 The Samsung 400FP-2 40'' professional LCD display offers full connectivity for the most demanding commercial applications. You can add networking to the 400FP-2 with an optional set back box (SBB-NT) and also add a digital TV tuner with an optional DTV set back box (SBB-DT). And Full HD 1920 x 1080p resolution displays the highest resolution content. Stand sold separately.